New towers were transforming the downtown skyline, while growing companies couldn’t hire fast enough to fill open jobs. Home prices had been surging for half a decade, and condo builders were racing to keep up with the demand. The year was 1988. And what happened next was a real estate bust just as epic as the boom that preceded it. Jobs vanished. Banks failed. Unsold condos littered the market. It took most of a decade for Boston to dig out. Real estate and development is a notoriously up-and-down business, and Greater Boston is several years into one of the strongest upswings the region has ever experienced, with $23 billion worth of new construction in Boston alone since 2012. But, as they say, what goes up must come down. And what that comedown will look like this time is anyone’s guess. Will it be a crash, as happened in the late 1980s — and, to a lesser extent in 2007 — with home values plunging, investors wrecked, and buildings auctioned at fire-sale prices? Or will it be more like a quiet retreat, an ebb to the flow of development now reaching the outer neighborhoods, with little broad damage? There are a few hints that the slowdown has already begun. Through the first half of the year, construction spending fell 27 percent in Greater Boston, according to Dodge Data & Analytics, though it was still above 2015 levels. Banks, developers say, are holding on a little tighter to construction-loan money. 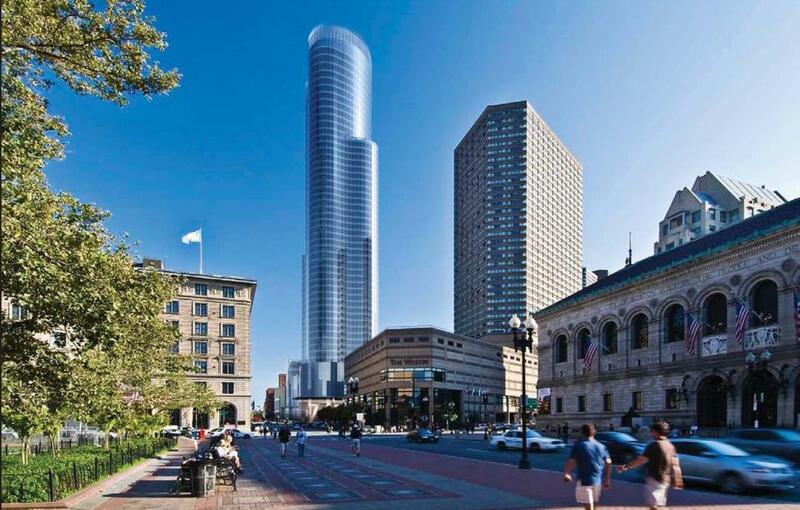 A few high-profile projects are on ice — Simon Properties, for example, last year scrapped plans for a tower at Copley Place, citing high building costs. Others have lingered quietly — permitted but not under construction — while their owners wait and see. But few predict a sharp cliff ahead. In the office market, builders have been cautious. Only a handful of projects have begun construction without major tenants in place, reducing the risk that new spaces will sit empty should the economy turn south. And while some existing trophy towers have sold for huge sums over the last few years, many of the buyers were cash-rich pension funds and other long-term investors — lessening the likelihood of fire sales, should rents fall. When it comes to housing, prices continue to climb: Rents in Boston have risen 1.6 percent in the last year, according to the real estate data firm Axiometrics. And the median price of a single-family home is up 5.2 percent, amid a dire shortage of houses to choose from. While home prices are 10 percent higher than they were in 2006, strong job growth, tight mortgage standards, and relatively slow home building mean there’s little chance of a bubble so far, said Lynne Elaine Brown, an economist formerly with the Federal Reserve Bank of Boston. Which is not to say that the region’s economy, and its real estate market, are bulletproof. Mark Melnik, an economist at the UMass Donahue Institute, said he’s monitoring threats from Washington. Cuts in federal research funding could ding Boston’s fast-growing technology and life sciences industry, he said, while sharp reductions in immigration numbers could sap a big source of growth in the region’s aging workforce. “Those are the sort of things I’d keep an eye on,” Melnik said. Closer to home, the biggest risk for developers may simply be overdoing it. Land prices have surged in Boston and neighboring municipalities. With so much building underway, many developers are struggling to find good construction workers, they say. That all drives up the cost of development, Begelfer said, potentially to the point where a project would cost more to build than it could make in rent. That’s especially a risk in the housing market. Boston has added more than 13,000 apartments and condominium units since 2011, with about 8,000 more under construction. The extended surge is starting to dampen rents, especially at the high end of the market. And there are only so many people who can afford to pay $2,000 a month or more for a studio apartment. And where? So far, rents have slowed most in the neighborhoods around downtown Boston, where a slew of new high-end buildings are competing for tenants. That dynamic could shift to outlying neighborhoods and to nearby cities, such as Revere and Quincy, where developers are launching big buildings with never-seen-before rents that are aimed at newcomers priced out of Boston’s core. Investors will be watching closely to see if thus-far-unproven markets can really command those high rents, said Greg Bialecki, a principal at Redgate, a housing developer that specializes in lower-cost markets like Chelsea and Quincy. He’s betting they will, that they’ll still be a value, compared with downtown. But he acknowledges there’s no guarantee, and that, in a downturn, projects in some so-called “outer urban” communities may be a tougher sell. Still, the fundamentals that have driven this real estate boom in Boston aren’t going away, said Sue Hawkes, managing director of Collaborative Cos., a real estate marketing firm. The city is a hub of knowledge industries, with a diverse economy and a stability that appeals to many international investors. That won’t prevent the inevitable downturn, she said, but she hopes it will soften the blow.